PATRICK (30s, bitter paraplegic) must enlist the help of his cantankerous neighbor ROBERT (60s, double arm amputee) to transport the four-year-old daughter he never knew he had to live with her maternal grandparents on the other side of the country. DARUMA is inspired by a true friendship between two young men who had suffered life changing injuries within days of each other: one the loss of both arms in an electrical accident and the other a spinal cord injury that rendered the young man paralyzed from the chest down. The second young man happened to be the writer’s brother. Though the characters in Daruma are fictional, Kelli wrote the script as a way to help process her own grief surrounding the injury and subsequently realized that despite her brother’s back being broken, he remained the same: his spirit and mischievous nature remained intact. He was still a young man in his early 20s trying to live a normal life despite his newfound reality. His disability did not define him. Kelli came up with the idea for DARUMA when she was struck by something she remembered while studying at USC: a painting from her Asian Art History classes. The painting has had an intense resonance with her since the first time she laid eyes on it: Zen Master Painter Sesshu Toyo’s masterpiece, Eka Showing his Severed Arm to Daruma. The legend goes that the Daruma (the founder of Buddhism) meditated in a cave for so long that his limbs fell off, as he had no need for them anymore. A would-be pupil, Eka, eager to show his commitment, severed his own arm and presented it as a gift to Daruma, but the Daruma turned him away, as young Eka had missed the point of the Daruma's lessons. She started to research the Daruma and came across something called a Daruma doll, a Japanese symbol of determination, endurance and hope. The legend states that you are to color in one eye of the Daruma doll and make a wish. When the wish comes true, you are to color in the other eye. The story of the Daruma doll compelled her to write about it and thus, the foundation for Daruma, was born. Alexander Yellen is an experienced director and cinematographer, a veteran of 45 feature films and 60 episodes of television. He has won two Telly Awards for his photography and been a festival finalist for his short film "miles to go." Traveling extensively with his scientist parents, Alexander was exposed from an early age to a wide-range of people and environments. He developed a passion for visual storytelling and has always sought to make those stories accessible through meaningful and unique perspectives. Alexander was born in Washington DC, earned a degree in film studies from Wesleyan University in Connecticut, and has lived in Los Angeles for the last 15 years. Kelli McNeil is an award-winning Los Angeles based writer, actor, and producer. As a graduate of the USC’s School of Drama, McNeil has performed in multiple film, TV and stage productions and wrapped production on three features in 2017. Kelli’s script The Baltimore School of Charm, won 1st place in the UCLA Extension’s screenwriting competition in 2017 as well as 1st place at the inaugural Bechdel Film Festival in Texas. 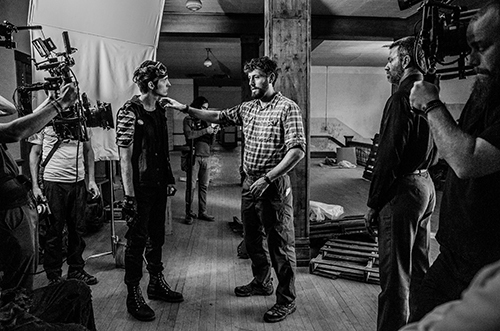 It was a semi-finalist in the Screencraft Fellowship program in 2016 and a top 15% finisher in the Academy's Nichol’s Fellowship in 2017 before the script’s current rewrite. DARUMA was a finalist in the Writers for Writers Fellowship, We Screenplay Diverse Voices and Cinequest 2018. In 2017, her original two-act play about Mexican-American immigrants, Borderline, was a finalist at Austin Film Festival’s playwriting competition. Kelli is also a published children’s book author: her first book, Sleepy Toes, was released in the spring of 2017 by Scholastic. She is currently developing additional materials for a wide-range of age groups. 2017 had her giving multiple book readings and signings around the country. A native of Texas, McNeil has called Los Angeles home for most of her life. McNeil is currently obtaining her private pilot’s license. She is repped by The Gersh Agency. Though great strides have been made to bridge the gap for women and minorities in Hollywood, there is still much to do when it comes to creating roles and projects for disabled actors and filmmakers. 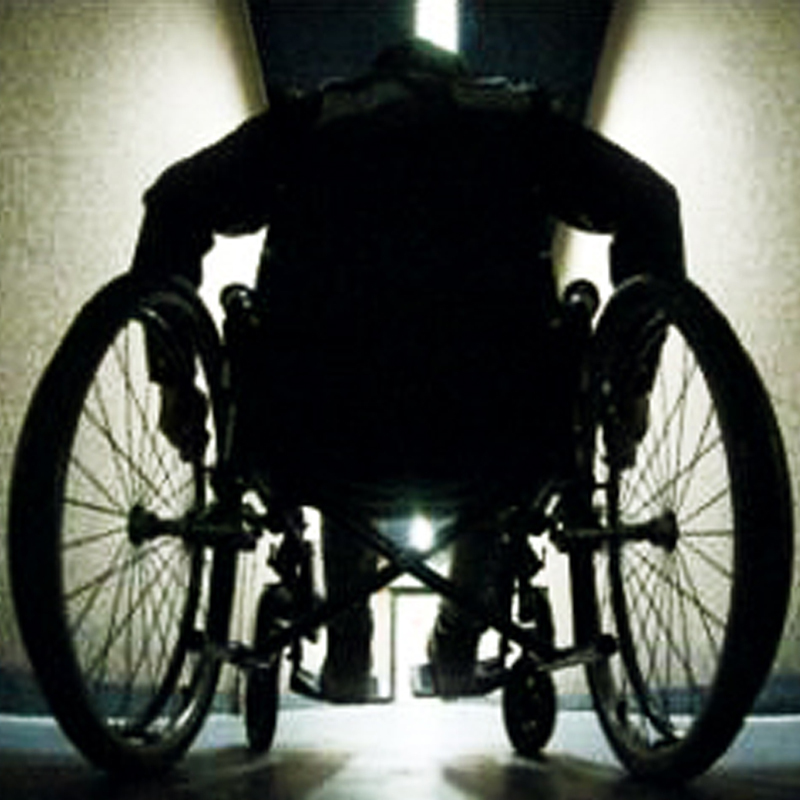 The filmmakers behind DARUMA are committed to using actors with disabilities. With the recent tide of diversity and inclusion practices being hailed in Hollywood, DARUMA provides the roles of a lifetime for two disabled actors where the focus of their characters is not their disabilities. Two other recent movies feature blind protagonists: Blind, with Alec Baldwin, whose character falls in love with his volunteer caretaker, and All I See Is You (in theaters Friday), starring Blake Lively, a psychological thriller about a woman who regains her sight. Todd Haynes' Wonderstruck (now in New York and Los Angeles, nationwide Nov. 10) centers on deaf characters, only one of whom is played by a deaf actress (14-year-old newcomer Millicent Simmonds). Read the full article. 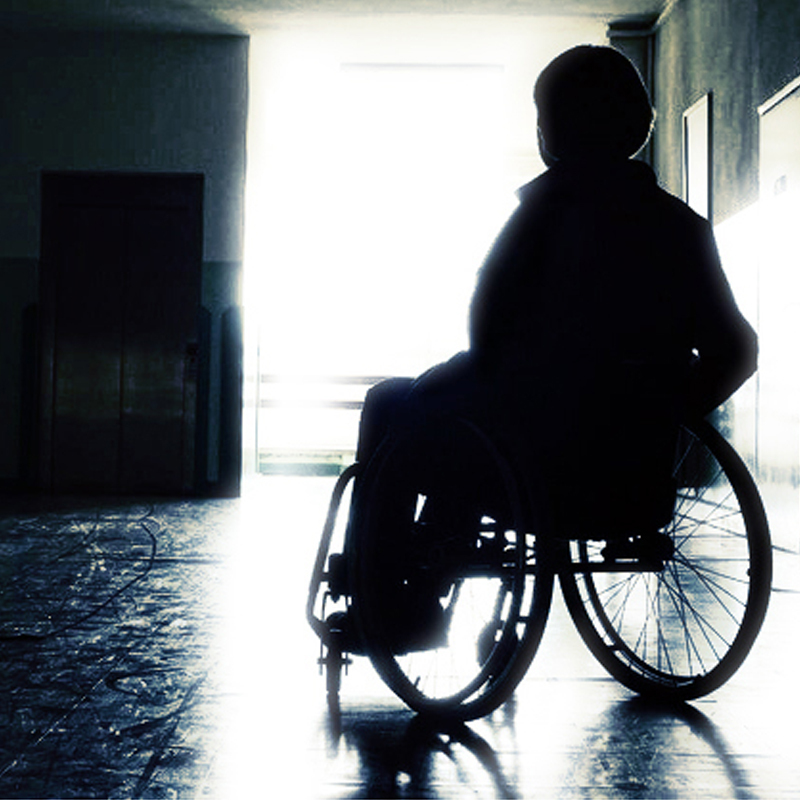 When Hollywood discusses diversity, it tends to focus on race, gender and, maybe, sexual orientation — but it almost always ignores disability. This was the consistent refrain and impetus behind the Ruderman Studio-Wide Roundtable on Disability Inclusion held Tuesday in Beverly Hills by the Ruderman Family Foundation. Read the full article. Casting Directors are trying to help but there are not enough roles written for performers with disabilities. Finally, Hollywood is getting the message to be more inclusive to people living with disabilities. According to Deadline, the Casting Society of America is going to hold open casting calls across the U.S. on Jan. 7, 2018 for performers hoping to break into the entertainment industry. According to Backstage, interested actors in cities such as Los Angeles, New York, Chicago, and Atlanta will be asked to read a two-page scene of their choosing. 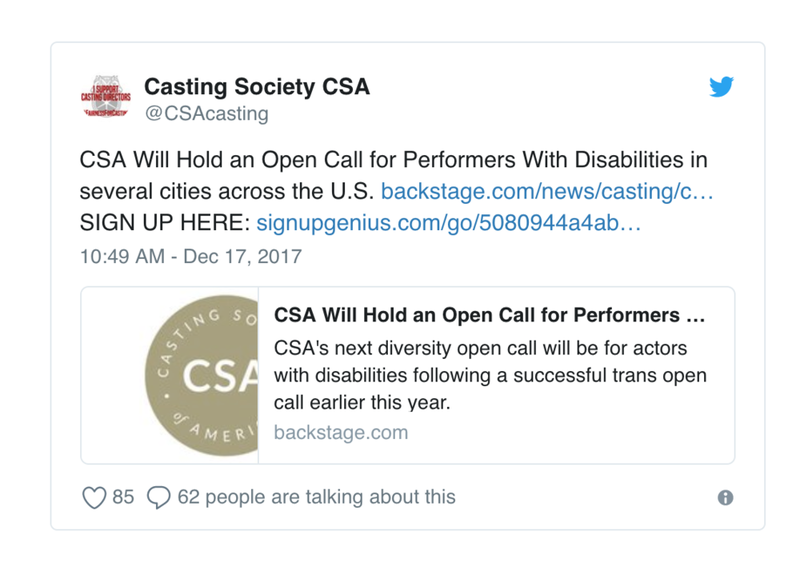 The goal, according to CSA's Facebook page, is to "offer actors the opportunity to work with casting directors who are looking to expand their knowledge of underrepresented and undiscovered talent in a professional casting environment." Read the full article. Taitetsu and Mark Unno are father and son, both distinguished scholars and authors. They have taught a course on Shin Buddhism together for several years now at BCBS. This article is based on the most recent of those courses and on other writing they’ve done on the subject. Click to read the full article. 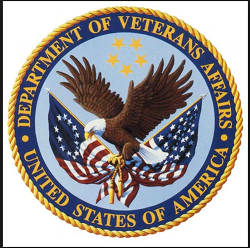 Below is a resource section containing links to organizations that support spinal cord injuries, post-traumatic stress syndrome, vets in Hollywood, diversity casting, and more.